The Berbers are native to North Africa though some of them can be found in areas closer to sub-Saharan countries. 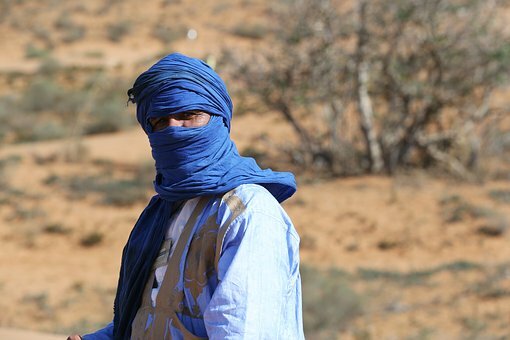 In modern days, Berbers can be found in Morocco, Algeria, Mauritania, Mali and Egypt. At the height of the Berber civilization, certain distinctive features can be identified. 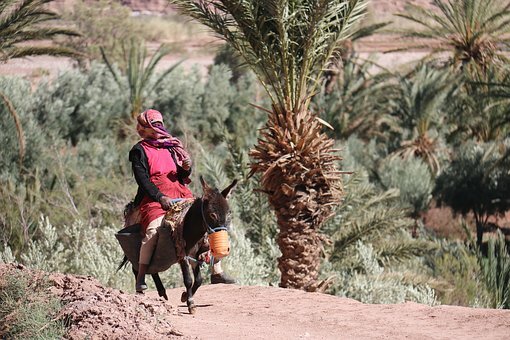 One of the features of the Berber civilization was their agriculture. The Berbers developed an advanced system of agricultural production which contributed more than enough food to the kingdom. The Berbers cultivated the plains of Cyrenaica with various kinds of crops like wheat, cotton. With their skills in metal works, they were able to invent farming implements which helped in the cultivation of their farms. Another characteristic of the Berber civilization was their engagement in trade and commerce. There were astute Berber merchants who engaged in serious trading activities. They were active in the Trans-Saharan trade, linking sub-Saharan Africa with Europe. Goods from Europe to Africa and those from Africa to Europe did all not leave the Berber kingdoms; some were distributed across a satellite of markets in the Berber kingdoms. Berber architecture was a prominent feature of their civilization. The Berbers extensively used mud bricks for their buildings. Whole cities were built with mud-bricks. The architects designed the cities to serve both as trading posts and as defense against attacks of enemies. The materials which were used and the patterns used have become synonymous with Berber architecture. The Berber kingdoms were monarchical in political structure. In other words ascension to the Berber throne was hereditary. The Berbers believed that the king is a representative of the spirit powers and therefore nobody dared to challenge their authority. The dynasty of king Massinissa for example, spanned seven generations and all the kings replaced their father when they passed on. The Berbers before the introduction of the concept of one God through Islam believed in the existence of several gods. In other words, the Berbers were polytheistic. Most of the Berber traditional beliefs were locally developed though some were borrowed from the Greeks, the Jews and other surrounding countries. One common god in Berber religion was the Greek god Athene. The Berbers believed in the spirits of the dead and therefore consulted them extensively. Another feature of the Berber kingdoms was their extensive use of diplomacy. They cultivated various diplomatic relationships with the nations they interacted with, such as the Romans, Phoenicians, Carthaginians and the Greeks. Some of these diplomatic ties were to enhance their trade but others were for military purposes such as to keep their kings in power and to protect their kingdoms. With diplomacy, they were able to acquire skills in viticulture and ceramics. For example, the relationship between the king of Numidia and Rome sustained the kingdom of Numidia for 50 years. Also, their diplomatic relation with Phoenicia resulted in the development of their ceramic industry.